Simple yet powerful downloader from Youtube and other video sites. Program fetches complete list of available qualities and depending on current work mode automatically selects appropriate file to download or gives you an opportunity to do this by yourself. Advanced tool for batch downloading multiple clips and entire playlists. Clipboard monitor, output presets and several ways to add URLs make it easy to add multiple clips. Properties pane provides great capabilities for further tuning and control on per clip basis. 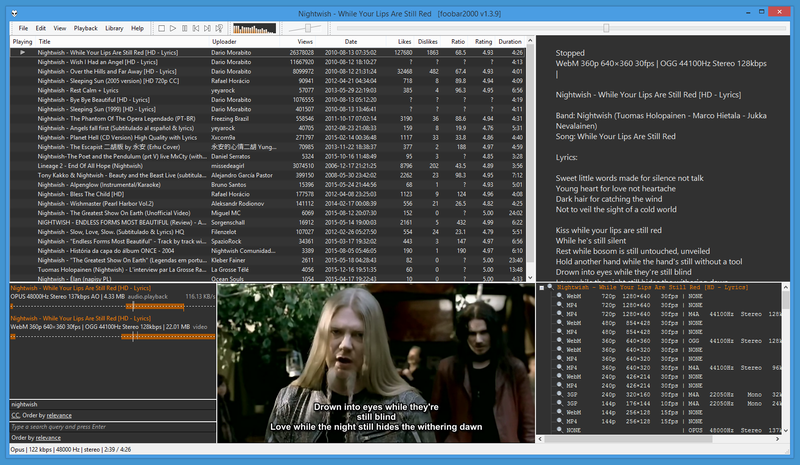 Play Youtube playlists and single clips directly in foobar2000. 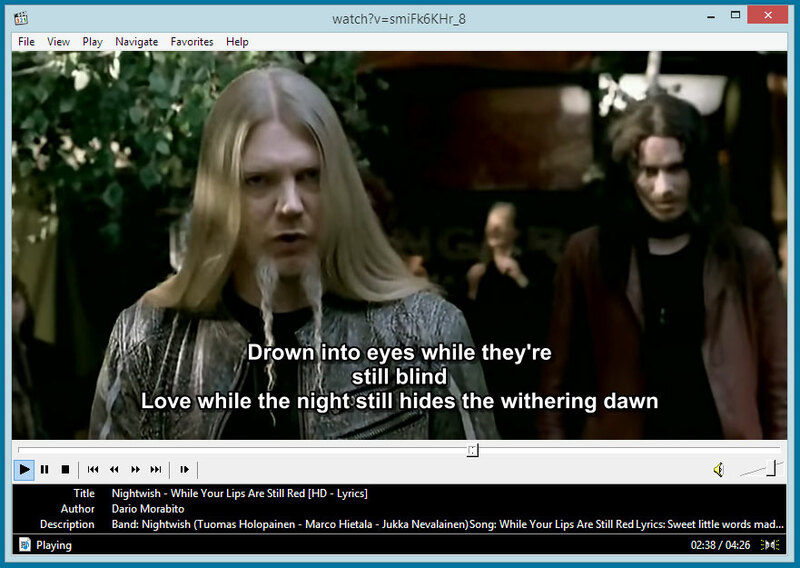 Other features: search on Youtube within the program, clip thumbnail as album art, clip subtitles as lyrics, multitrack album from the single clip, video playback. Set of plugins for watching clips from video sites directly in the video player. Just grab the link from Youtube or other video site, go to video player, click 'Open URL...' (or similar, depends on player) and paste a clip URL directly there.